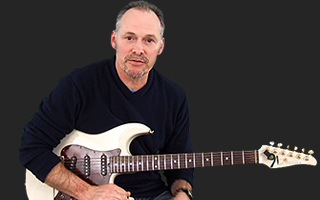 Mark Brennan teaches this classic rock song by Jethro Tull. Released on the album of the same name in 1971, this song features some memorable electric parts and lush acoustics as well as a classic 1970s guitar solo. All guitar parts including the solo are covered. great editing! great performance, Mark! Dude ... that was awesome. Great lesson. I have minimal lead experience and really enjoyed working this one out. Super fun and again ... Good work! Mark, I can only chime in on all the fantastic comments thus far. The guitar work you did on this piece didn't surprise me since I've found all your guitar playing on other songs top notch........but man, Youve got a great voice too! Isn't it enough to play great?? Fantastic job Mark... This solo has Always been one of the greats! I've wanted to learn it since I first heard the album and thanks to JamPlay and you, it's done. Can I be so bold as to make a suggestion? I realize you have to explain the nuances of each part of the solo, but after explaining it, playing the passage with a metronome at a slow speed, with no talking would be so much easier to get the feel of the riff. Sorry, I'm an ADHD musician...Thanks Mark, you're my new hero! Mark, Thanks so much. Your method of teaching is great! This is a classic I have wanted to know how to play for years. Thanks again! You have a real gift for teaching and one sweet Martin!!! This is one of my favorites. THANK YOU Mark, you were my first choice to start my lessons with and though I have checked out some others I just keep coming back to you. If I ever learn to play an eighth as good as you do I will be happy. Merry Christmas Mark and Jam Play. ONE of the best lessons of all time. Martin Barre would be honored. Mark, after taking this lesson time after time I am finally proud to say that I've got it, finally. This is such a powerful song and you my friend, are one heck of a player. Thanks so much for your concise and relatively easy lessons. Without your help I would have never learned to play this the right way. Many thanks. Thank You Mark! This is a great tune and you teach it well! Very good. Thankyou. This will certainly take me to another level. I love this song man, and the lesson is awesome! I was scared of this song at first, but this turns out to be an amazing exercise to practice some chord progressions! I'm an absolute beginner and I'm slowly pulling off all of the acoustic stuff. hey mark awesome lesson always wanted to learn this song! now i have got it down, so thanks man!!! but you did mess up in the lesson breakdown and i cused you everytime i followed you into the mistake! somewhere in the fast acoustic part!!! but i got it down at the end in the song demonstration! thanks again great lesson!! Love how you do ALL parts, including the vocal. very nice. Great job Eric! Just get it up to speed and you've got it. I encourage you to start working with left hand vibrato to color some of the notes. Nice work....you look good on youtube. It's almost the fastest speed I can achieve now. (90% of the original). I'll try to add some vibrato, but the same problem - speed. I really appreciate your suggestions, thanks. by the way, I have other questions about daily practice of learning scales(to remember them on the fretboard), and how to speed up? Can I ask in the forum? I just put up the song demo and the backing track in mp3 format under the supplemental content tab. Love your lessons Mark! Stairway was Epiq, aswell as all the Pink Floyd songs..
Hi Mark, Excellent lesson and great song. This lesson is why I am a member of Jamplay. Your classic rock lessons have always been my personal favorites. Luckily, I was able to see Tull live at Madison Square Garden when they perfomed the Aqualung album in the early seventies. Ian Andersen is one of the great rockers of our time. the band and Andersen was phenomenal in that show. Great job Mark! You really outdid yourself on this one. With this lesson, you've raised the bar so high that it's going to be tough to top it. Thanks for all your hard work. Excellent. The best song lesson I ever saw. I know this is a pretty bold statement, but I think this is one of the best if not the best Phase 3 lessons JamPlay has ever done! Nice work guys! Jeez... I'll have to agree with Matt... This really raises the bar. Absolute top notch production. Well done Mark and Jamplay. Great Lesson! We need more classic Rock for Acoustic Guitar. Thanks Mark. Have to agree. Great lesson. Maybe some Who acoustic stuff? Mark, Thanks for the new Phase 3 lesson. It's great as usual. You provide great detail in you lessons, which make it easier to learn. I hope you have more lessons coming. Thanks everyone! Had a great time doin this one....enjoy! Kudos to Aaron at Jamplay for the great production! Nice! I've been waiting for this one for a long time! Hay Mark you earned your pay on this one. And Frk’n nice Guitar. After explaining in another thread that stage 3 lessons weren't that important to me I'm going to spend tonight learning this one. ;-) Great stuff as always Mark, thanks. Great to see some new stuff. Your the best at the song lessons. Wish they didn't have to take some of the others off.